After 30 years of transitioning from a small, local festival for outsiders to an international mega-event for musicians, techies, entrepreneurs and filmmakers, SXSW has become a huge cultural, trendsetting force. Known for spawning the likes of Twitter and Foursquare, SXSW has finally reached the apex of mainstream appeal, welcoming even sitting Presidents and First Ladies as keynote speakers (The Obamas were, hands down, this year’s biggest stars). 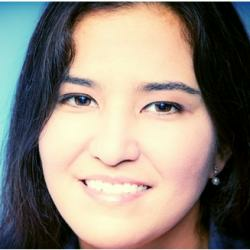 But more than nifty gizmos, gadgets, VR headsets and food trucks, SXSW is a place where you can learn about customers’ real needs and watch them interact with your product first-hand. If you’ve done things right, you’ll also be inspired by the way potential clients’ eyes light up when they realize you’re offering a one-stop solution for all of their needs. 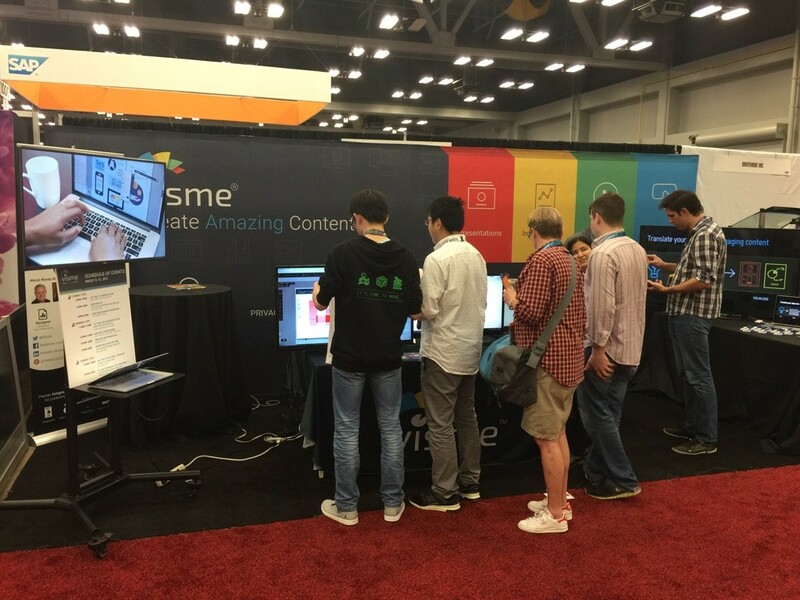 As a second-time exhibitor at the massively popular SXSW Trade Show, we had the opportunity to present Visme as an easy-to-use, drag-and-drop tool for creating interactive and animated presentations, infographics and other engaging visual content. The results exceeded our expectations. Four days and 65,000 visitors later, we can confidently say that SXSW 2016 was a defining experience for both the future of Visme and its growing number of users. 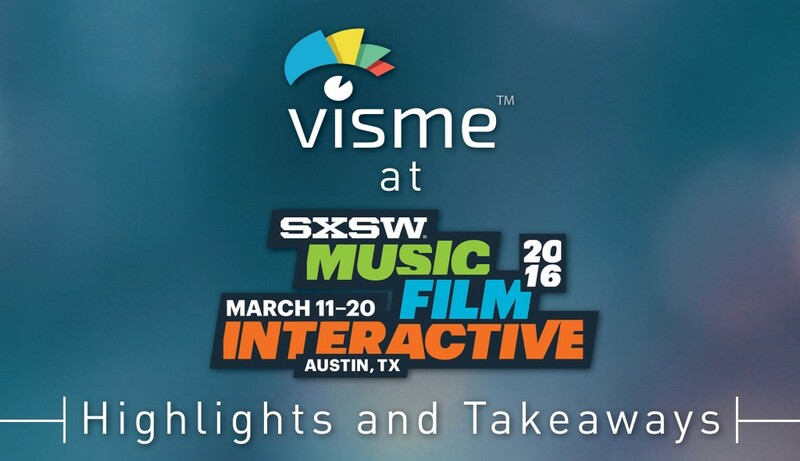 Here’s a quick recap of Visme’s memorable SXSW experience, complete with a video collage of images and footage from the event. We kicked off a week of fast-paced networking and speed demos with the 2016 TechBreakfast Showcase. Although not affiliated with SXSW, the four-hour event attracted more than 3,900 people and several hundred SXSW badge holders. As one of 15 brands with a kiosk, Visme and its team gave dozens of lightning pitches and created this colorful, interactive infographic to promote the TechBreakfast. But our smart visual marketing didn’t stop there. We also created this eye-catching, post-show infographic with Visme to give viewers a quick recap of the event (view full-screen version here). Meanwhile, the rest of the team got our booth ready for the SXSW trade show at the Austin Convention Center. Armed with tons of promotional material, thousands of discount cards and cool giveaways, we were ready for a huge turnout. We weren’t disappointed. Hundreds of visitors stopped to watch Visme in action, ask questions and request a live demo for their teams. 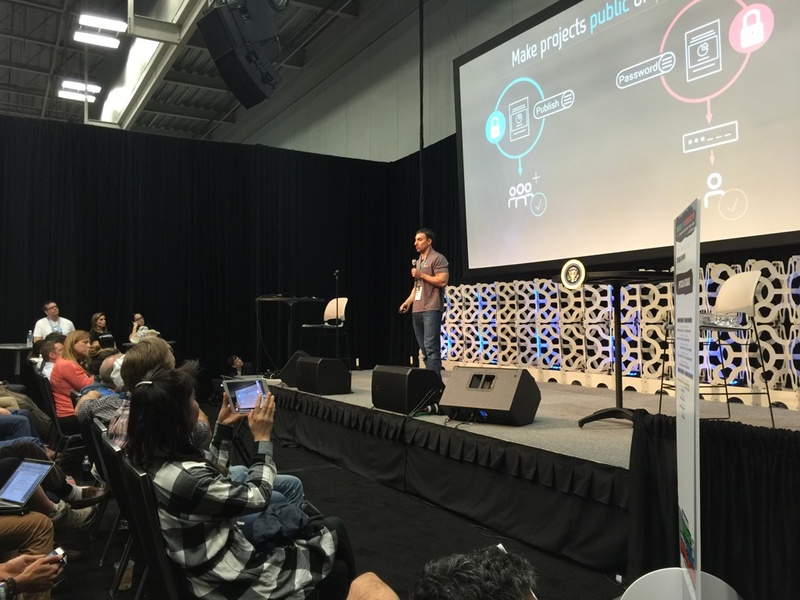 In the afternoon, Visme’s founder and CEO, Payman Taei, took the Trade Show Pitch Stage to give a 10-minute talk on creating infographics and presentations with Visme. He impressed data visualization beginners and aficionados alike with Visme’s capabilities, and we immediately saw dozens of interested attendees--many of them from large Fortune 500 companies--visit our booth after the event (view full-screen version of pitch created with Visme here). A trip to Austin wouldn’t be complete without visiting a barbecue joint, so we decided to enjoy a plate-full of signature beef ribs at Iron Works, a restaurant with a rustic Texan feel, and called it a day. 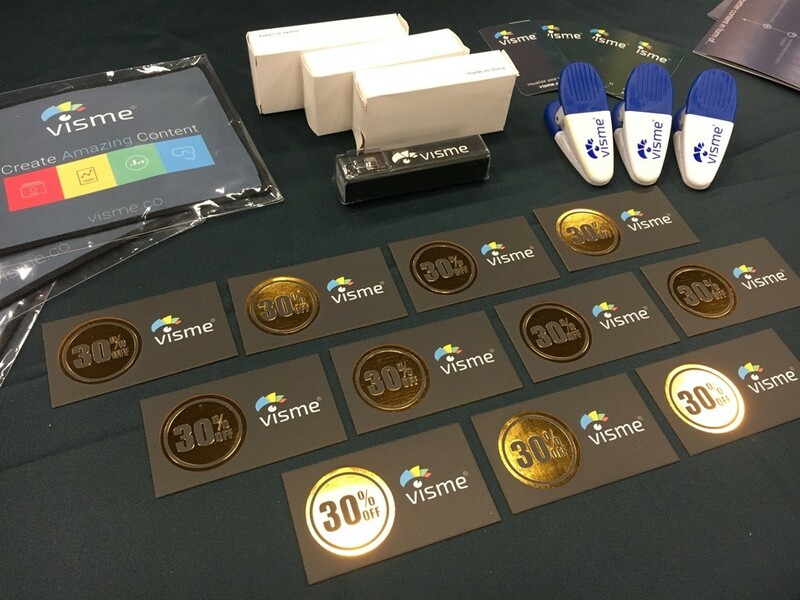 The next day, we enjoyed answering hundreds of questions from attendees on Visme’s capabilities, from its advantages over traditional presentation software to its pricing model and powerful collaboration and analytics tools. 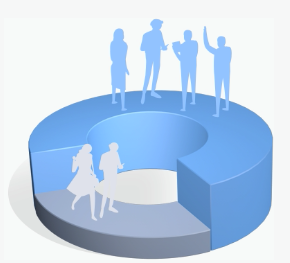 We were continually motivated by the fact that a vast majority of visitors were genuinely interested in the tool’s core value proposition (visual content creation made easy) and were ready to sign up other coworkers and team members for a live demo. The third action-packed day of the conference was as lively and informative as the first two, only with a lot more inquiries from individuals looking for a collaborative content creation tool to use with their coworkers and colleagues. We also partnered with infographic and data visualization expert Randy Krum to give a workshop at our booth on creating data visualizations with Visme, which was livestreamed via Periscope. It was a fun, informative session with lots of on-site engagement and feedback from Twitter followers. We fittingly ended the day with a relaxing bicycle tour of the city’s world-renowned 6th street district, which has a distinct French Quarter feel to it. At every stop light, you could hear jazz music and see large crowds of people enjoying every bit of Austin's vibrant night life. Most SXSW 2016 attendees had by this point transitioned to the music portion of the festival, so we were left with only a fraction of the visitors we received during the first few days of the show. But, nonetheless, it was another exciting day, full of new inquiries and visitors interested in trying out Visme, including online marketers, content creators, entrepreneurs and students. We ended the show with a bang and decided to give away most of the coveted phone chargers and portable LED lights we had been saving for the last visitors. Many went home happy with their gift and 30% off discount card. Hopefully you were able to visit us at the trade show but if not, you can also take some of SXSW home with you too. Just for sharing our SXSW experience, we’ll give you a 30% off discount code to use when you purchase a Premium Visme plan. Drop us a line below, and we’ll get back to you right away.